Beautiful Outskirts Home on OVER 2 Acres! Attention! Seller will pay up to $5000 for buyers closing costs with acceptable offer! Here’s the ”outskirts” property you’ve been waiting for… Enjoy small town living in your 3000 sq’ 4 Bedroom home nestled on over 2 beautiful acres lined with a shelter-belt to the North. 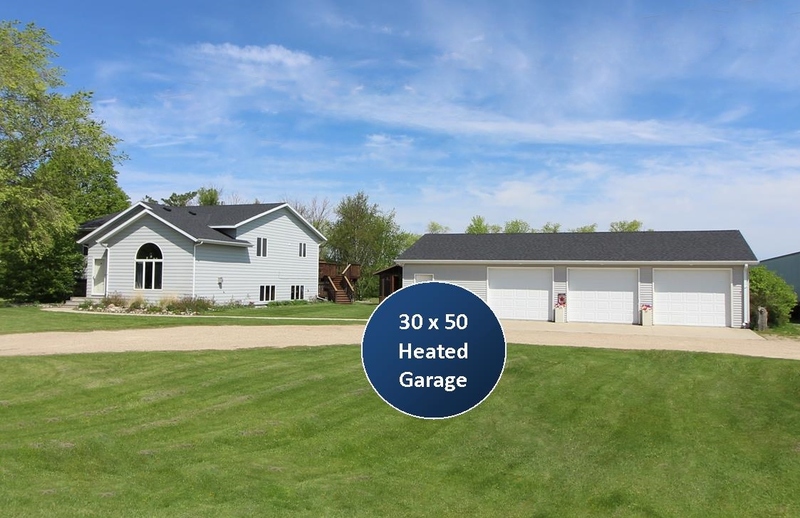 You will NOT believe the dream garage – A Massive 30’x50′ fully finished & heated shop! Not to mention an additional 2 stall garage and 2 sheds. Outdoor entertainment at its finest on your 2 tier deck and gazebo. Imagine yourself in this amazing kitchen equipped with large center island and NEW Stainless Steel Appliances! But wait… there’s more… Brand NEW Roof on both house and 4 stall garage! Can it get any better? Schedule your private showing today!